I have seen this company on Facebook for the last couple of months and am excited to announce that Sunshine Rewards is now working with Walt Life! If you are a Disney fan (like my whole house), nothing makes you happier than random Disney-ness. Imagine every month getting a box in the mail with officially licensed Disney products fom the Parks, Resorts, or even Disney Store. If pins are your thing, you will get a new pin every month. If they aren't, you can choose from other options that will bring you everything from mugs to snacks to artwork (please let there be a Mickey head crispy treat in one of mine!!). Each box comes with a "skip a month" feature plus you can cancel at any time. Plus, because we are now working with them, you get 6% cash back from Sunshine Rewards on your first purchase! 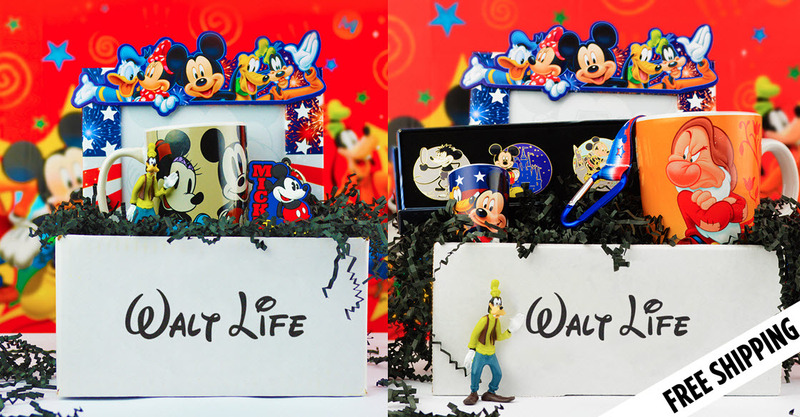 I'm excited to try Walt Life for myself based on what their site says that they sell. I also love that they are a small family owned business just like we are!